All the pieces are in place. Big city amenities without the hassle, New England charm, lots of open space for outstanding outdoor recreation, beautiful parks, quality schools and safe neighborhoods. 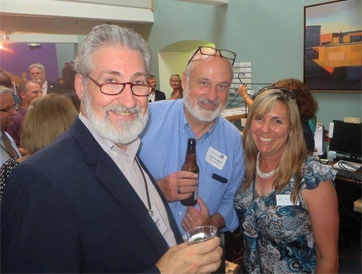 And when you consider the inventory of cultural assets and events we enjoy in this region, we easily rival many other New Hampshire communities looking to attract visitors, employers and workers. The Capital Region offers an outstanding work life balance and an engaged business and arts community ready to welcome people to the area. 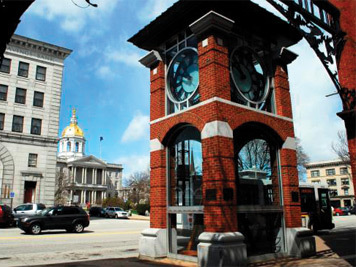 Our thriving cultural scene boasts the largest performing arts theater in New Hampshire, a charming 600 seat community theater, an avant-garde black box performing space, an independent movie theatre, an art school, a historic state capitol, two libraries, galleries, public art, and a plethora of excellent restaurants serving a variety of choices for discerning palates. Now we just need to get the word out. And we will! This month we’re releasing a dedicated blog site with support from Creative Concord, the Chamber’s standing committee to advance the creative economy in our region, to more effectively showcase all there is to do and see, both visually and in words. VisitConcord-NH.com followers will get a heads up on all the great events coming up. Regular articles will highlight — and bring to light! — in greater detail all that the state capital has to offer. A printed rack card promoting the website and a map of Concord’s public art will be available at N.H. Welcome Centers and distributed outside the state to help visitors find and utilize the blog. This project is just one of the Chamber’s many moves in stepping up our game to promote Greater Concord as a destination for visitors, employers and talent seeking the perfect place to live and work. You will see much more of this activity coming from the Chamber going forward. Look for updates in your inbox and on our social media channels.